A working mom offers tips on achieving work/life balance. Do you want to spend more time with those you care about? Are you looking for an opportunity to catch up on an ever-growing to-do list? Or do you simply want to get more rest so you can enjoy your job and your life? If you answered yes, you are definitely not alone. 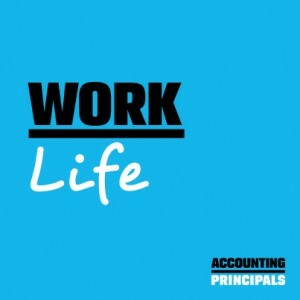 Many people struggle to strike a balance between their personal and professional lives, and it’s a struggle that is impacting more people now than ever before. Single-income households were once commonplace, but according to the U.S. Bureau of Labor Statistics, today nearly 60 percent of families with children have both parents in the workforce. In addition, the recent recession forced many employees to take on new responsibilities and longer hours in order to keep their jobs and take care of their families. So with more people working – and more people working longer hours – how can we achieve the balance we’re looking for? According to Debby Johnson, an accountant, wife and mother of three, the answer may just lie in temporary employment. We spoke with Debby about her experience and gets her advice for juggling work and family while getting the most out of the time we have. When did you start thinking about consulting/temping? What made you decide to turn to temporary/contract work? I started thinking about contract work when my husband lost his job in 2007. I didn’t want the commitment of a full-time job since I knew he would go back to work eventually, and we still had three children to take care of. If we both worked full-time jobs we would lose all flexibility. Contract work gave me the flexibility to pick the length of assignment I want and need at that time. Once I got into it, I absolutely loved it! What was your perception about working for a staffing firm before you started? I had used a staffing company for all of my career changes starting in 1999. They placed me in three permanent roles in that time frame. I always felt that using staffing firms was the best way to get your foot in the door of a good company and that they had the best jobs. Finding jobs on my own (through the newspaper and Internet) was too hard and too few good jobs were advertised this way. How do you manage to balance your family and your work life? With a full-time job, it was very hard to balance my family and work. We had to primarily rely on daycare. And, on days when my husband and I both had deadlines at work and were running late, we would have to rely on other family members to pick the kids up from daycare. With contracting, I pick the assignments that work with our schedule. The balancing became a whole lot easier! Do you ever miss having a traditional full-time job? Is it something that you’re interested in moving forward? I absolutely don’t miss having a traditional full-time job. I wouldn’t be able to choose when to work and when I need to take an extended break. I am not a school teacher, but I get my summers off too! I choose to stay home then to be with the kids. A traditional job would not give me this opportunity. When the youngest of my kids start school in 2012, then I will consider taking a full-time job. But I might just decide to stay with the contracting work. What are some of your favorite aspects of temporary work? As a mother of three, this has turned out to be a great career decision. I have the flexibility, I get to see the inside workings of different companies and I get to network. What are the most important things you’ve learned as an associate and as the 2011 American Staffing Association National Staffing Employee of the Year? As the 2011 ASA National Staffing Employee of the Year, I really learned how valuable temporary staffing is in the work world. The convention I attended had some wonderful speakers who praised the use of temporary work. For Debby, temporary work helped balance the scales between her personal and professional lives. And it may work for you, too! Temporary employment is a great alternative to a full-time job, especially for those who enjoy flexibility and variety. It’s also one of the best ways to get your foot in the door with top companies.